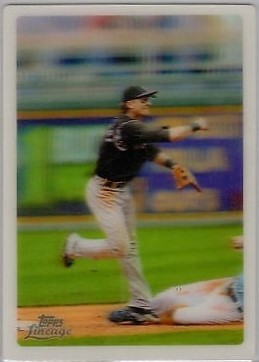 I finally knocked the last part out of the master set fo 2011 Topps Lineage. 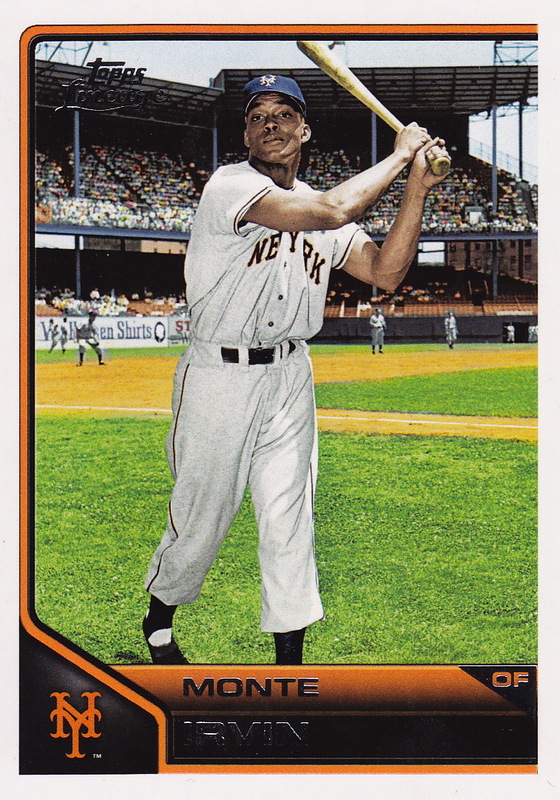 After finishing up the ’64 Giants Box Topper set back in August, I finished up the 1975 mini parallel set last month. 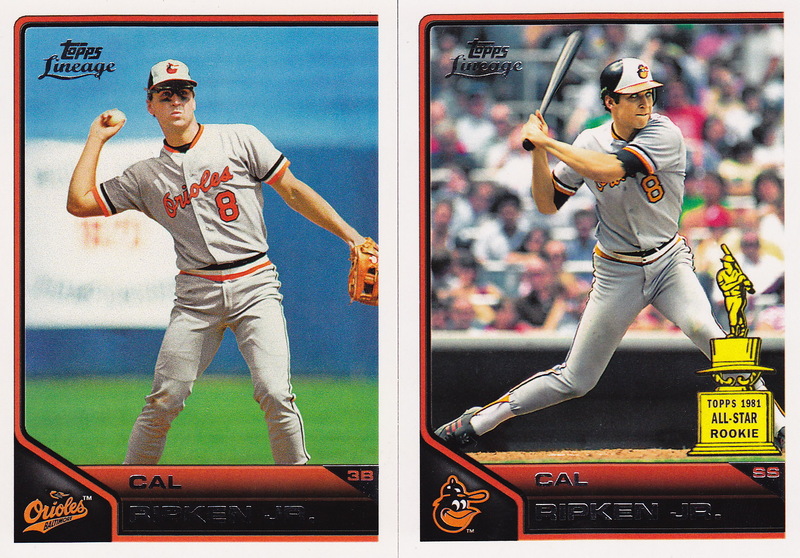 Card that completed my set: #194 – Cal Ripken ASR (I picked up the last card in a trade from Napkin Doon – 4 years ago!) – see picture below. I’ve had this set completed for a while – but it took me 4 years to wrap up the 75 mini parallel set. Each of the players in the All-Star Rookie Team subset have 2 cards. 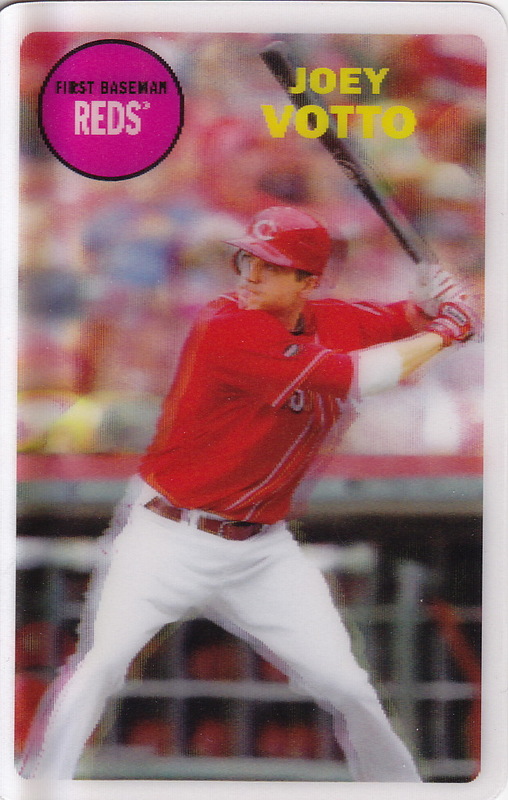 This isn’t a base set that has any intention of having a notable base card – so for this, I’ll pick the #1 card. Sandy Koufax being signed as a Topps sponsor was a pretty big deal this year, and he was in just about every set where Topps included retired players in 2011. I thought he was most appropriate. 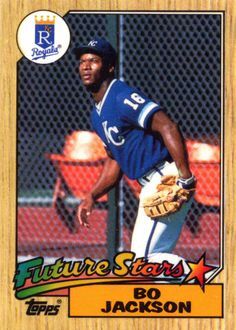 Also, this card is kind of interesting because it’s clearly photo-shopped (Night Owl posted on this a little while ago – I spent about 5 minutes trying to find the exact post then gave up). Koufax has a Brooklyn cap on, but it’s obviously a game in LA’s Chavez Ravine. The background in this photo is awesome. It’s just an all-around awesome card in general. Wrong hat or not, this is a really cool photo with the edge of the stands in the background and the sky in the other side as Koufax gets ready to hurl one of his many strikeouts. 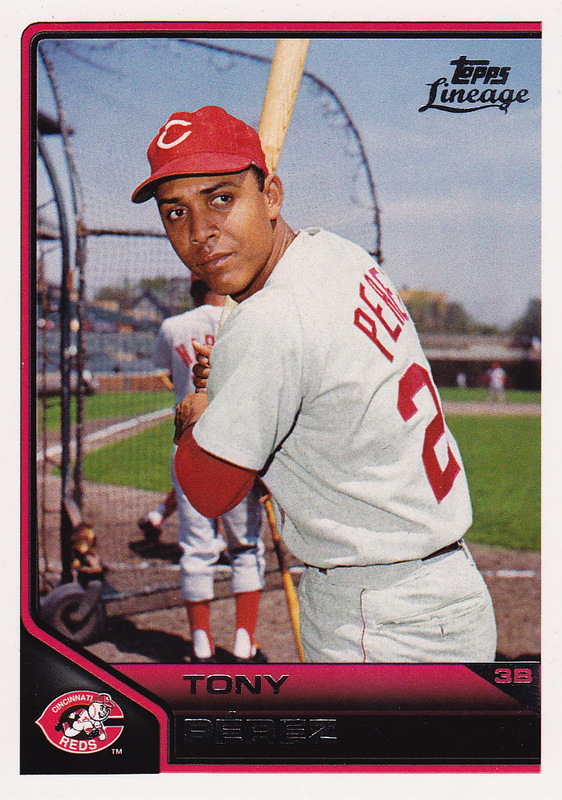 It was either this or the Johnny Bench where he’s squatting. Those were the only 2 cards that I thought had pictures that were pretty cool. Cool shots of the the guys who were newly inducted Hall-of-Famers when this came out. It was good to see these guys start getting some love 4 years ago. 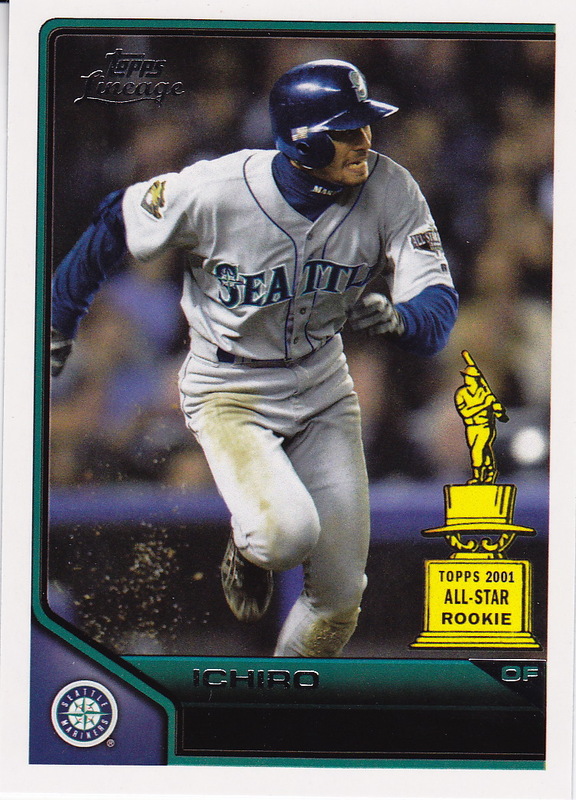 Like the Ichiro above, this also beats out the Bench ASR card for my selection. I just like this shot of a younger “Big Dawg”. How I put the additional sets together: 2 hobby boxes, a few retail packs, 2 group breaks (I went a little crazy back in 2011 with this stuff), trades, card shows, and online – various sources, just like I did with the full base set. I covered each insert set in earlier posts. 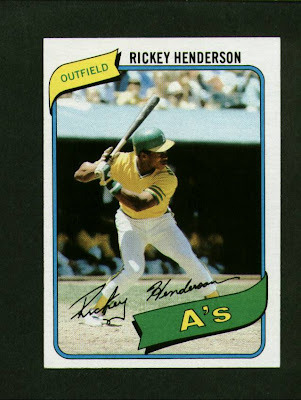 The ’75 mini parallel was the last set I completed. The Lineage set is all about the insert sets. The base set was, frankly, pretty crappy. 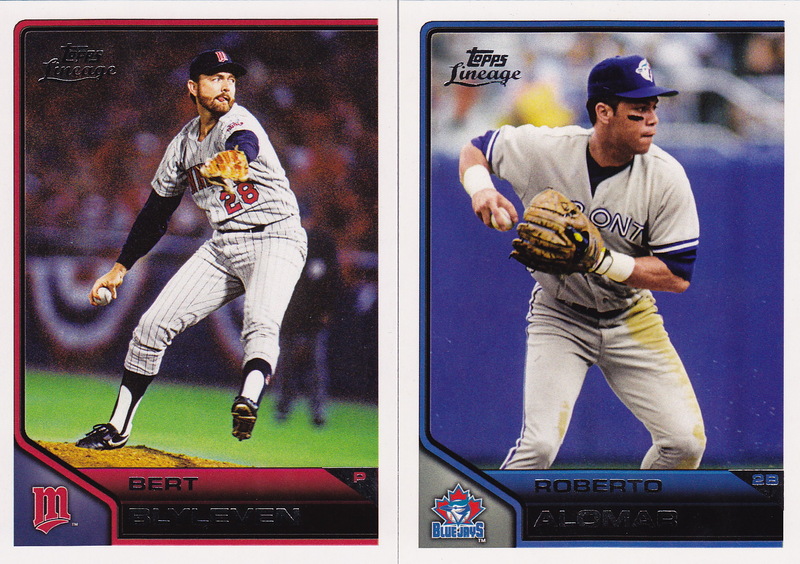 But the inserts were (mostly), pretty great tributes to old oddball sets from the Topps archives. The 3D set based on the test set from 1968 is the best insert set Topps did in this product, and the Tulo was my favorite. It’s an action shot with a good background, which lends well to the 3-D effect. I think my favorite set outside of the 3D inserts was the 1975 mini. 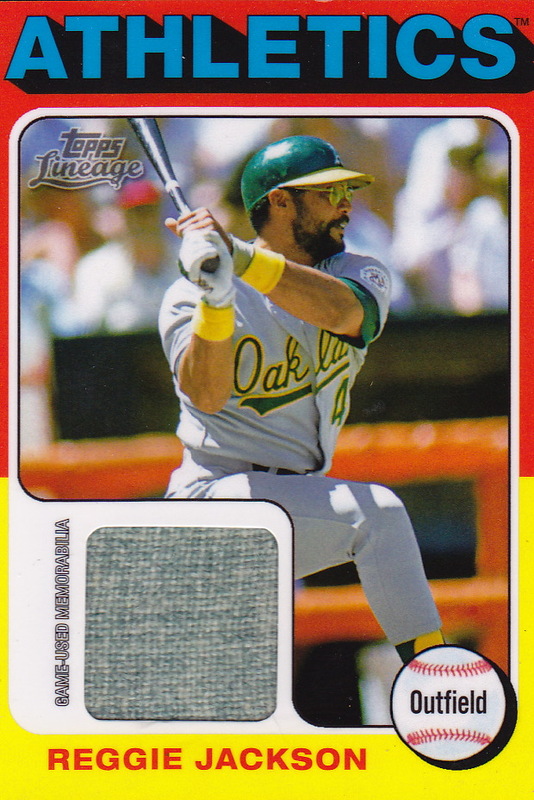 And the Reggie Jackson card is pretty unique – Reggie is featured with the Yankees in the Lineage base and ’75 mini set, but with Oakland here. I like this card much better. In fact, I liked it enough to buy this card! Like I said, the 3-D set is king here, and Votto was the reigning MVP at this point.